I’m sorry to report the death of David Brokenshire in Christchurch. David was born in Thames in 1925 and he left secondary school to directly enter the RNZAF where he was a flyer for two and a half years, mainly in the Pacific. Leaving in 1946 he began the study of architecture in Auckland but also took painting classes at Elam. Completing architecture in 1951 he moved to Christchurch where he joined an architecture firm and practiced for many years. He was married to Noeline who was a wood turner and their first home was on the cliffs overlooking Sumner. They raised a family there and during that time David took his first steps in clay as he saw pottery ‘as direct counter-balance to architecture….it’s the tremendous immediacy that I find so exciting’. He began, as many did in the 1960s, making functional pots but from early days he realised he was no maker of tableware but someone seeking personal expression through clay. Like many others of the time his inspiration derived from nature and the environment. The landscape, the sea and geology were principal sources but things Maori also played a part via elements such as anchor-stones – about which he made a significant series. His sculptural work – large in scale and mainly coiled then stained with ochres and manganese, often with minimal touches of glaze in interiors and just as often left unglazed – gained national prominence. ‘Mostly the large single piece is the one that really intrigues me’. He became a full-time artist in 1979. In the mid-1980s he turned to porcelain, saying he found ‘the delicacy, translucency and apparent fragility of the medium has entirely captivated me’. 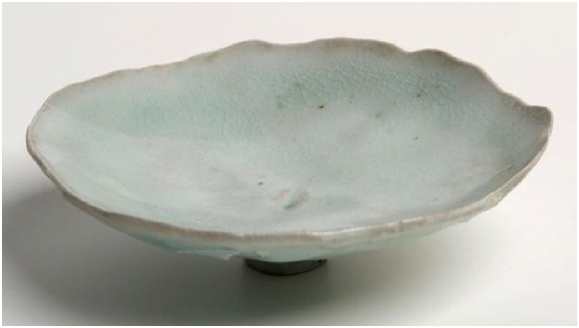 As with his former stoneware he turned to nature as source and worked to reflect the colours, forms and movements he saw in ‘the flow of wind and ocean, an open flower and traces of colour in a morning sky’. He was the cover image for Peter Cape’s 1980 book, Please Touch: A Survey of the Three Dimensional Arts in New Zealand. He was a gentle, courteous man who spoke quietly and with precision. He was a communicant member of the Anglican church but alongside this he was interested in a wide range of philosophical texts and comparative religions, ’In general I’m very much in sympathy with Buddhist philosophy, Zen in particular’. 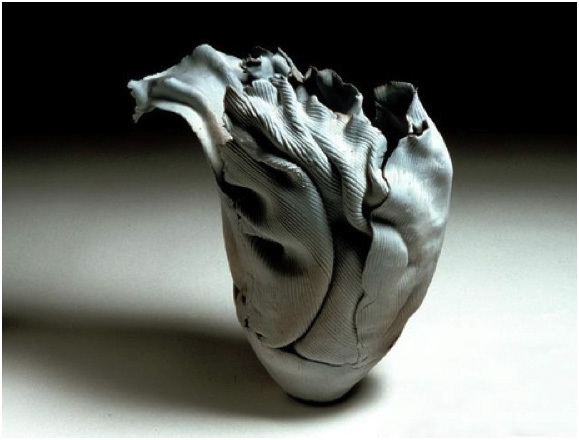 His work is represented in most public galleries around New Zealand and at the Museum of Ceramics in Faenza, Italy. I inquired but did not hear of how David and Noeline fared in the earthquake. Perhaps someone from Christchurch might be able to fill us in? The two images below are of works held by Christchurch Art Gallery. A true gentleman. David was always helpful to those like me who started out potting in Christchurch in the 1970s. My condolences to his family. Yes, a lovely man. I only met him a few times but always found him warm and engaged.